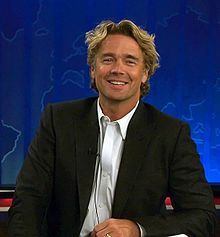 John Schneider, known by many as "Bo Duke" from "The Dukes of Hazzard," is co-starring with Randy Wayne and Rosanna Arquette in the faith-based inspirational film "Hardflip." "Hardflip" is playing in theaters now. And for all of you who want to see more family friendly, faith-based films, then you are encouraged to get to the theaters and see this movie. "Hardflip" is geared toward teens and young adults, and features some well known skateboarders. Real life issues are addressed and the movie is meant to have an impact in your personal and family lives. It has been purposely timed to debut for Father's Day. “When a script like ‘Hardflip’ comes along, with a real depiction of the rewards of a father-son relationship but also the difficulties of building one, you have my attention. “A financial shift happened with ‘Facing the Giants’ and ‘Fireproof,’ where movies that were faith-based films were profitable. And people in Hollywood – like people in downtown USA – are out to make money,” Schneider explained. “And faith-based, inspirational films are making money because they’re getting better, the scripts are better. Read the full WND Exclusive by Drew Zahn with John Scheider here. Hardflip follows the story of Caleb a young skater whose ill mother and absent father leave him reaching for the only hope he has—becoming a sponsored skater. After finding a stack of old love letters, he sets out to find the father he never knew and inadvertently begins a journey he never could have expected. This story explores what happens when we let go of our anger and pain and forgive those who have hurt us most. Find out more about the movie, a theater showing it near you, etc at the "HARDFLIP" website: http://www.hardflipmovie.com. Do you plan to see, want to see, or have you gone to see "Hardflip" already? Related Post "John Schneider in Hardflip: A Faith Based Inspirational Film"
Kirk Cameron and Why does God Let Bad Things Happen to Good People? © 2012-2015 InspiredChristian.com | All Rights Reserved Worldwide ~ Be Inspired to Be an Inspiration! ~ GOD Bless You Always!